The Lee County Mosquito Control District predicts that a large mosquito outbreak is coming as a result of heavy rain and continued flooding from Hurricane Irma. 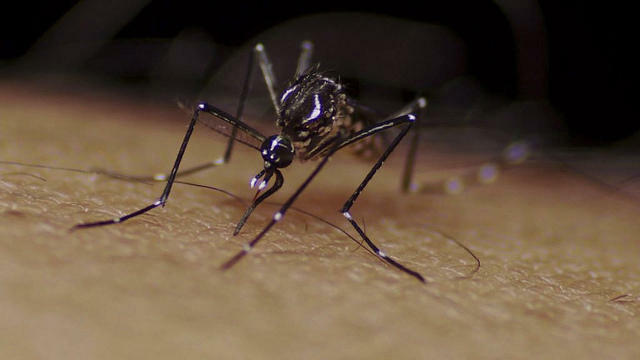 Thursday night marked the district’s first aerial spraying to tackle the adult mosquito population since the storm’s passage. The District’s highest priority now is working to mitigate adult mosquito populations via aerial spraying in areas of the county where the most residents are still dealing with standing floodwaters and power outages. Typically, mosquitos known to carry diseases like West Nile Virus and St. Louis encephalitis are known to propagate in freshwater environments, but now those mosquito varieties can move into the county’s 56,000 acres of salt marsh as well. Flooded roads and storm debris are hampering the agency’s ground surveillance work. That, plus the cost of chemicals to kill mosquito larvae, the expansive area that floodwaters currently cover and the proximity of larvae-laden floodwaters to people’s homes makes an effective application of larvicide nearly impossible. The District’s surveillance efforts to monitor for the presence of mosquito-borne diseases by running blood tests on sentinel chickens are also getting back to normal after Irma. Redovan said wearing insect repellant and protective clothing remain the best way to avoid mosquito bites. She also urges those with storm-damaged homes to get their porch and lanai screens repaired as soon as possible to help reduce exposure to mosquitos.